The Taiwanese gadget makers expand their VivoBook series with much powerful and advanced gadget. The new gadget is named as VivoBook 4K is loaded with 4K display along with 15 inches wide screen. The device seems to be loaded with extra power and strength by embedding 12GB RAM. The new gadget will pose a strong competition to the existing players in the market if they are priced right. Let us a detailed examination to the features of VivoBook 4K. The device features a dimension of 38.2*25.6*2.53cms with a weight of 2.2kgs. The highlighting feature of the new device is that it comes with 4K display within a 15.6 inches IPS screen. The display is sported with a resolution of 3840*2160 pixels. This gives you an opportunity to enjoy high resolution videos and other contents over your device without causing any disruptions. The only shortcoming with the display is that it doesn’t provide touch option. The new device is powered by 5th Generation Intel i7 550U or Intel i5 5200U. The officials also told that they are keen to release the devices loaded with 6th generation processors in the near future. The graphics part of the device is managed by NVIDIA GeForce 940M and is powered by 2GB DDR3 VRAM. With the help of this graphics card, high end games can be loaded and played without lag. The device is loaded with a RAM of 8GB which can be expanded to 12GB, as the makers have provided room by allowing 1 DIMM socket. The device is loaded with the latest Windows 10 OS. The users can select their option for storage. The makers give the option of HDD with 500GB at 5400/7200 RPM, 1TB/1.5TB/2TB at 5400 RPM or SSD with 128GB/256GB. 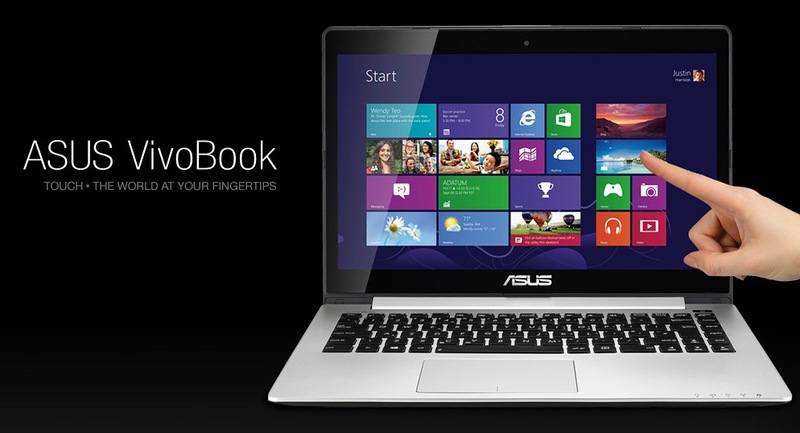 Asus VivoBook 4K is loaded with a VGA Web Cam to its front enabling web based video calling and chatting. The device also sports 2 ports with USB 3.0, one with USB 2.0, one with RJ45 LAN Jack and one HDMI port. The connectivity is provided by 802.11b/g/n and is also integrated with Bluetooth v4.0. The disk drive is made with Super-Multi DVD. The makers also made room for multi card reader for SD/SDHC/SDXC set of memory cards. But this powerful device doesn’t offer the option of fingerprint sensor or NFC. Makers also provided room for one Combo audio jack and one VGA Port/Mini D-sub 15-pin specially made for external screen. The battery part of the device is sported with 2 Cells of Whrs Polymer. The officials said that the device comes with the colour options of Icicle Gold, Glacier Grey, Black and Navy Blue. But they haven’t declared its pricing details and availability date. But one thing is certain that if they are going to price this gadget at the right price then this will pose a strong threat to competitors existing in the market.